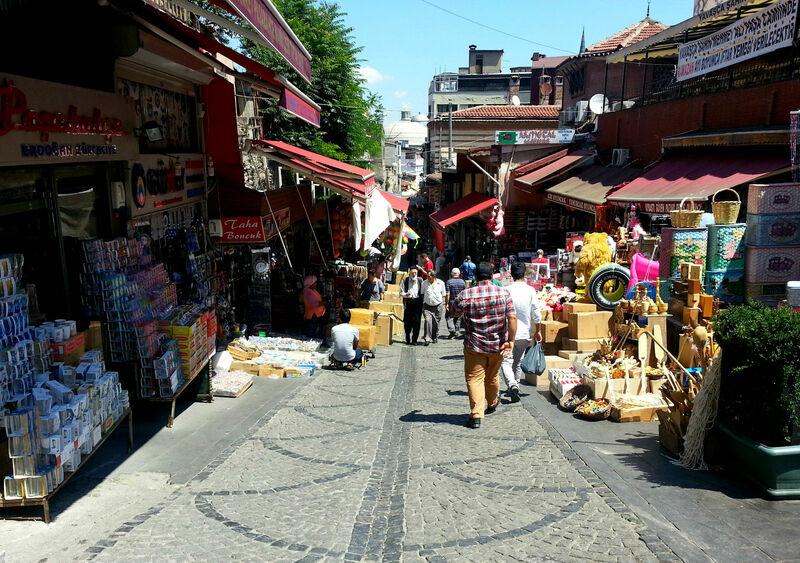 Wandering the winding, narrow streets of Istanbul provides a plethora of adventures and cultural experiences. Few stick out quite as boldly as visiting the many markets. The market experience really is amazing and gives a rich snapshot of life in Istanbul that’s unique to most westerners. 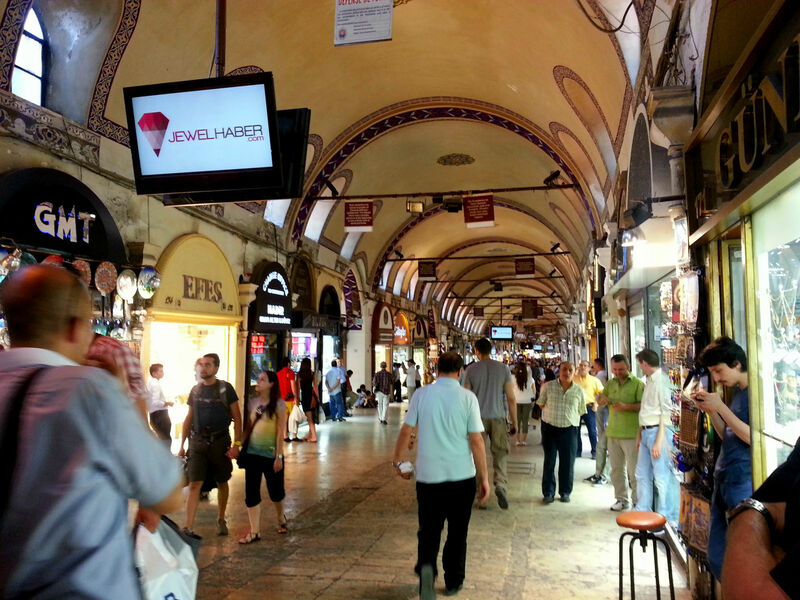 Obviously, a stroll through the famous spice market and Grand Bazaar is obligatory. Going early proved to be a fantastic idea, because later in the day it was a madhouse. In the afternoon and evening, I could barely swim through the crowd enough to move forward, much less squeeze my way over to a market stall to look at goods. Visiting in the morning allowed for close inspection of all the colorful, glittering wares and careful sniffing of the fragrant spices. 1. Research goods and prices — Would you randomly walk into a car dealership and expect to walk out with the best deal if you hadn’t even researched which cars they sold? No you would not. Do not go into a market blindly and automatically expect you’ll walk out with deals on fabulous, exotic goods. I don’t care how great your haggling skills are, you need to have an idea of what you want going in, and what a relatively fair price would be. This may be your first market, but it’s a way of life for the Turkish people and they will overcharge if you didn’t do your homework. Also, don’t buy crap you have no use for. There are countless trinkets littering the market stalls that I promise you will never, ever use if you take them home. Don’t be a chump and buy silly tchotckes just because they’re cheap. You’ll probably lose or break them on the trip home and when you get them to your place, they’ll probably do nothing more than gather dust. Only buy what you really like and will use. Some salespeople will try to force the tchotchkes on you to up your bill, but don’t fall for it. 2. Walk away — To continue the car buying analogy, you have to be willing to walk away from a deal if it’s not exactly what you want. Be sure to follow through; don’t just threaten to go elsewhere and then continue to stand there and haggle. Walking away and investigating other similar market stalls also is a good way to do your research. You can always go back if you don’t find something you like more. After a few laps through the markets, you’ll notice that the goods at the different stalls tend to be very similar, so you’re sure to find another place that will give you the price you want on your coveted item. American woman: OK, how much is this one? American woman: What’s that in American? American woman: And this one? American woman: Are you sure? I know you market people expect me to haggle and I know the price I want. But you better tell me the right exchange rate. 4. Be respectful — Remember that you are a guest in this country. This may be a very different experience than what you’re used to, but isn’t that why you travel? To see such things? Instead of grumbling about how things are different/better at home, embrace the diversity and learn something new. The woman in the example above appeared to be in her 60s and proceeded to lecture one of the market workers about how she had traveled all over and knew “a thing or two” and didn’t want to be scammed. If she really were a seasoned world traveler, she should have known to behave better. This is someone’s life and how they make their living. You would become irate if someone from a foreign country came to your place of work and loudly criticized your work/customs/country. So when in the markets, do not loudly claim “Ugh, no, it’s too expensive!” or say the products look cheap, or claim the American way is better, or claim you’re getting scammed, or any other similar hurtful comments. Such comments are rude and you’re better than that. 5. Don’t be sheepish — Haggling is not prevalent in America and many people do not enjoy it. I’ve heard time and again that people avoid markets because they’re embarrassed about the way bargaining feels. Others say they would feel badly undercutting someone trying to make a decent living. That’s respectful and completely understandable. But that’s why you do your research. I struggled with such feelings for a long time until it finally hit me that salespeople won’t allow their businesses to operate at a loss. Things are priced with the expectation of bargaining, so don’t be sheepish about asking “Is that your best price?” or “What else can you do for me?” Also consider that with the exchange rates, paying two dollars for an item might seem crazy to you, but it could feed a family in other countries. Just be on the lookout for the few market stalls that post a “no bargaining” sign. Those are the ones where prices are fixed and haggling is insulting. 6. Sample — Many food and spice vendors allow you to sample their goods. Some practically force the samples on you when you’re merely trying to pass by. I got to try various dried fruits and rare flavors of Turkish delight, in addition to being allowed to taste a couple of spices. But in the vein of being respectful, do not go to the markets with the intention of gorging on samples as if it’s a Saturday trip to Costco. The vendors are allowing you to sample their items out of courtesy, so use good judgment. I only sampled items I truly considered buying, which is how I fell in love with and purchased a bunch of pomegranate Turkish delight. 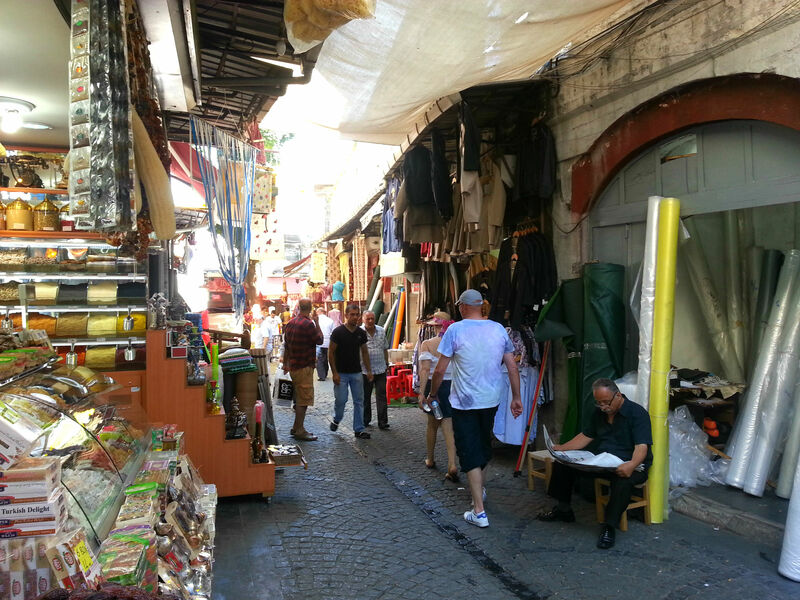 Although checking out the Grand Bazaar is fun, visiting the markets that locals frequent proves an even more interesting experience, at least for me. Gone are tourist favorites like magnets, scarves, hookah pipes and lanterns. Readily available are countless items residents might use in everyday life like light bulbs, cooking utensils and reams of fabric. 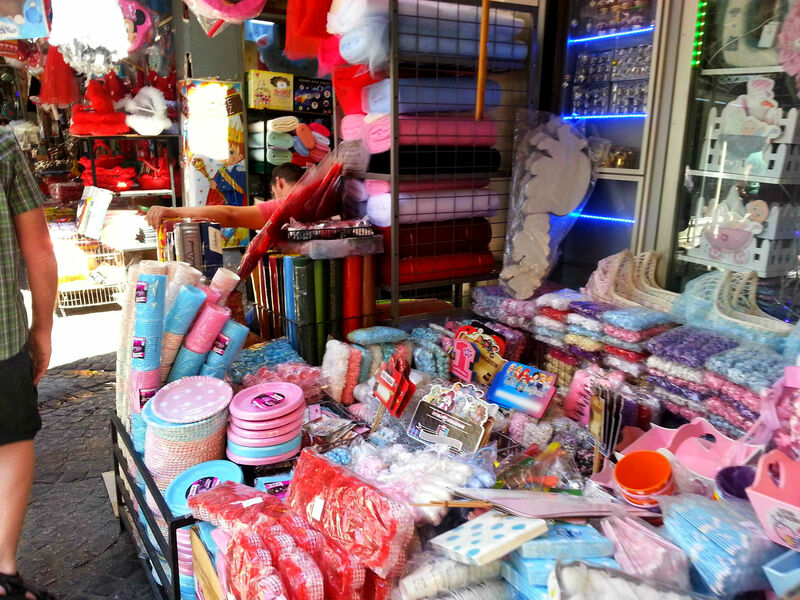 Check out all the paper and party goods at this market stall. Clearly, this is intended for locals planning a kids’ party or baby shower, not tourists. Or sometimes you just need to buy a pair of pants on the fly. Or glasses and home decorations. Some bona fide stores let goods spill out into the streets, giving it a market feel. Keep in mind, as well, that purchasing food and spices in the less touristy areas often means it’s fresher and more reasonably priced. There’s usually still some bargaining, but it’s executed more skillfully than in the tourist areas. I enjoyed watching locals bargain with more proficiency than I could. 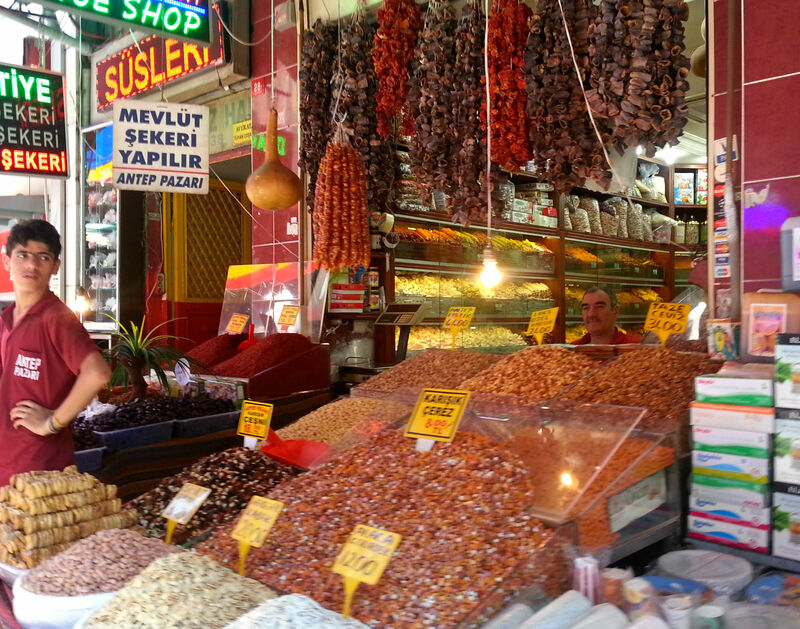 Experiencing market life is a must when visiting Istanbul. Sure, they’re crowded and chaotic, but I’m willing to endure some bumping and shoving to be a part of an experience so ingrained in Istanbul’s culture. The spices, dates, pistachios and lanterns I picked up for a steal aren’t too bad either.